I was in Houston a few days ago, and picked up a Houston Chronicle to read that the venerable Saint Arnold Brewing Company has tweaked their beer selections as they also continue a massive expansion of their Houston brewery’s production capacity. Saint Arnold increased their production by 80-percent in 2010, which translates to 31,445 barrels of beer on the wall. Saint Arnold released their “Divine Reserve No. 11” back in March and recently announced they are dropping one of their originals, the “Texas Wheat” and adding “Weedwhacker” – a variation of it’s popular “Fancy Lawnmower” beer. I admit the Lawnmower has crossed my lips a few times and the “Summer Pils” is in my lineup for this month. It’s already that hot here! 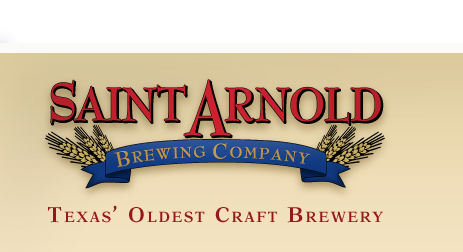 I have a nephew being born in a few weeks in Houston, so maybe a visit to the Saint Arnold Brewery is in order for a worthy celebration of a new fly fisher in the family tree. If any of our Houston readers are interested in hoisting a brew, let me know what you’re up to around April 28. Houston is still the largest market for Saint Arnold’s eleven varietals, but according to reports, their Dallas-Fort Worth business grew by 49-percent last year. That kind of growth means Saint Arnold’s beers will be easier to find for some time to come.